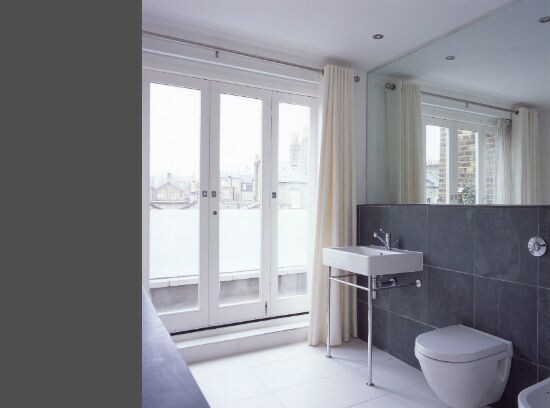 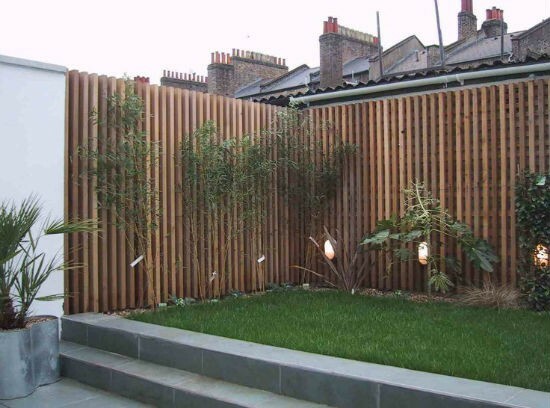 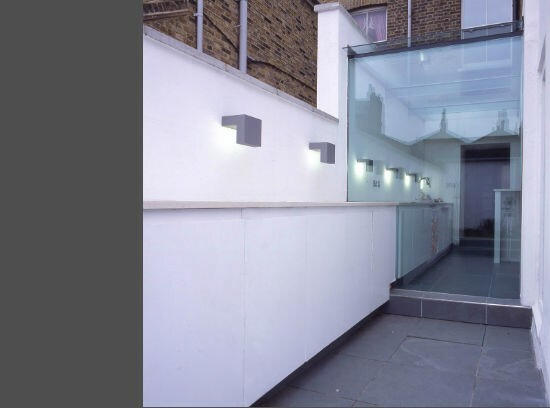 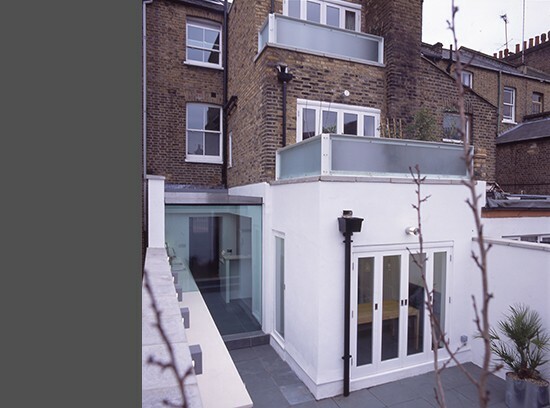 This project began life as a quite ordinary 3 storey terraced house in an undistinguished location in South London. 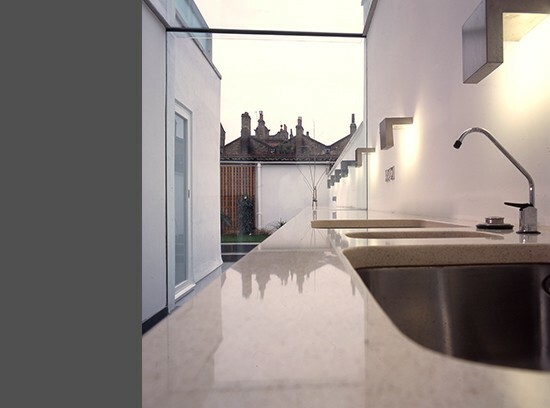 The client bought it to develop into a family home, and instructed 11.04 to extend the house at ground, first, second, and third/loft levels. 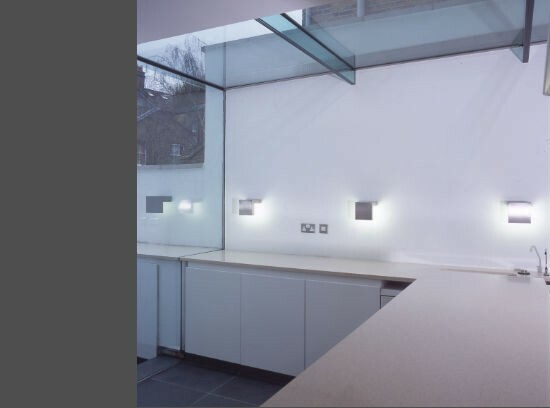 Significant additional space was added including a sophisticated glass extension to the existing kitchen – linking the living dining space to the small patio garden beyond. 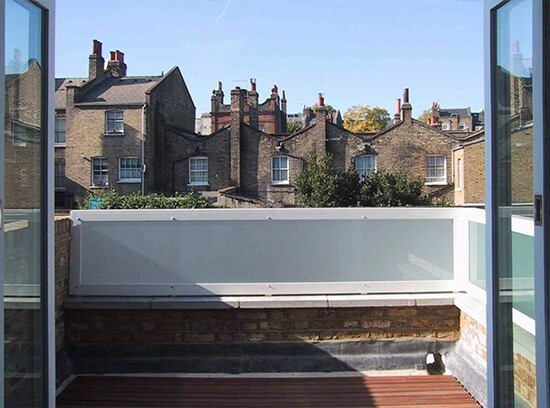 Two additional roof terraces were added at first and second floor levels, and an additional flat was created within the roof-space. 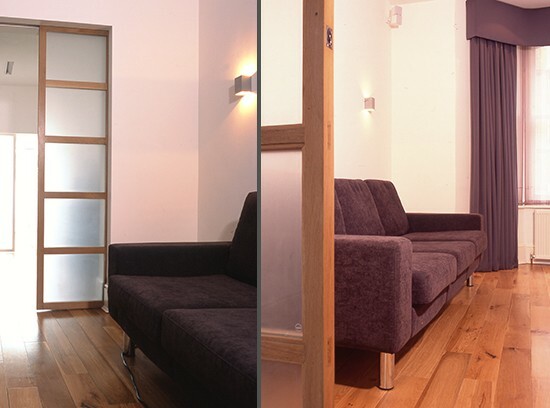 The additional space added dramatically to the value of the property as well as providing a comfortable family home .